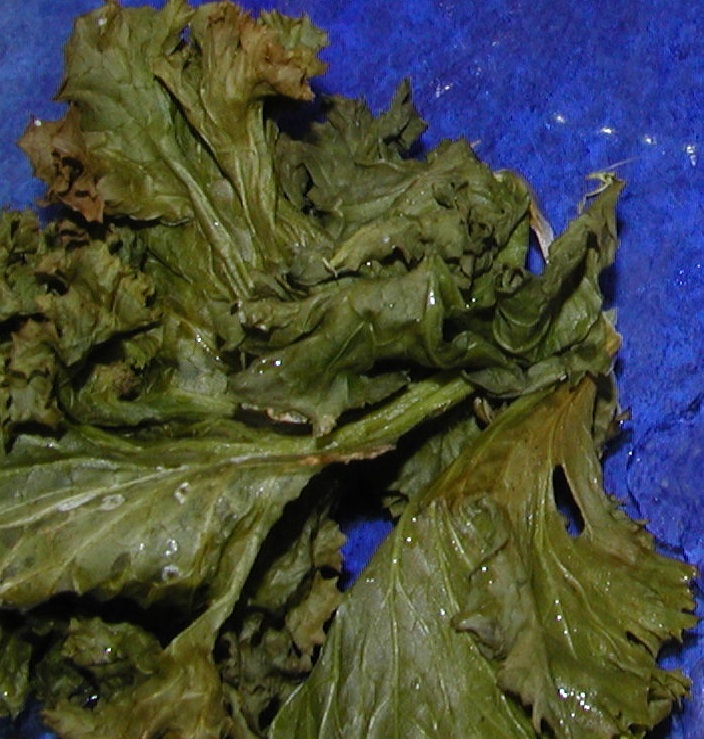 Wash, cut, and dry kale. Place on cookie sheet. Salt kale. Drizzle melted butter over it if desired. Bake at 350 degrees for 10-15 minutes until edges of kale start turning brown, not black. Enjoy! Note: Olive oil is often listed for this recipe, but beware, olive oil rancidifies at high heat. Butter is a high temp oil that can take the heat!